Directions North America has traditionally been part of the Microsoft Dynamics ecosystem's late-year conference crunch, a unique event focused on Dynamics 365 Business Central and NAV partners that happened to be surrounded in the calendar by conferences for other products, geographies, and roles. But Microsoft's new semi-annual release cadence for business applications, including Dynamics 365 Business Central, offered the event a chance to change things up. 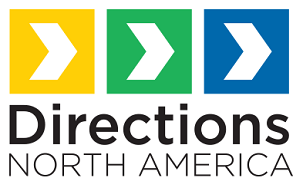 Directions North America 2019 has now become a spring event, starting next month in Las Vegas on May 5. Katherine Turner-Lawrence, vice president of sales and marketing at Western Computers and a Directions North America board member, told MSDW that the organizers were preparing themselves for the possibility that the new event date, which runs just seven months after their fall 2018 event, could cause a drop in attendance. But that hasn't been the case, she says. We're looking at [close to] 800, whereas we thought if we hit 700 we'd be doing well. And we're seeing that from a sponsor perspective, other than a few exhibitor spaces, it is totally sold out. So that's a good indicator that sponsors have faith that attendees will be there. And given that we're partner only, it's different from going to other events. It gives us the ability to go into a lot more detail and depth, all aspects of a partner's business. The event will offer over 150 sessions to capture the interests of different audiences, from technical to new partner onboarding to consulting and leadership. And while Business Central is the focus for many, partners will have opportunities to attend session sand workshops on other Dynamics 365 applications and Power Platform tools. Turner-Lawrence noted that for partners looking to onboard Business Central into their practices, gaining the full range of knowledge will be key. For example, the event is seeing a growing number of Dynamics GP partners attending. This year about a quarter of the organizations will have a GP background, an increase from previous years where the NAV audience made up ninety percent or more of the attendees. From a technology perspective, we wanted broad session coverage, from writing apps to how to get started with new dev tools to roundtables. We thought it was important because this year more than ever there are more Business Central partners coming onboard. Even in the fall of 2018 we still had a lot of NAV partners. Now we're seeing different partners who want to attend and learn. So I think our group gets a little more diverse in terms of which Dynamics products they came from to Business Central. And learning not only about the go-to-market aspects of Business Central but how they need to retool and what they need to do internally to sell it, to build the apps for it. We've put a lot of effort into helping partners become successful with it. The May event also serves as a barometer of whether traditional Dynamics NAV ISV partners have come to embrace the Business Central opportunity. Microsoft has stated recently that the list of add-on solutions in Microsoft AppSource for the cloud ERP product is growing at a rate of thirty per month. The growing portfolio of ISV solutions is good news for resellers like Western Computer, says Turner-Lawrence, because so many deals require specialized capabilities that only ISVs can provide.